Howards Appliance Service | To Repair is Green! 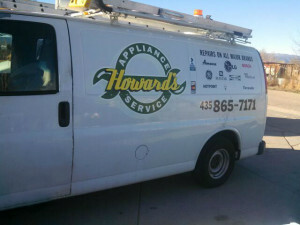 Welcome to Howard’s Appliance Service, a local family-owned company with over 23 years of experience doing major appliance service in Cedar City. We specialize in full repair service on any and all household major appliances and have built a reputation for fast, professional, reliable and affordable service throughout the Cedar City area. Broken appliances are more than just an inconvenience, and can cost you time and money and throw off your busy schedule. Call Howard’s Appliance Service when you have problems with a stove, oven, refrigerator, dishwasher, disposal, washer, dryer and more. Take advantage of our mobile residential service – we will come to your home to repair or service your equipment. Our technicians are qualified and experienced and will be able to quickly diagnose and fix the problem and restore your appliance to perfect working order. Modern appliances can offer great new features but require more expertise to repair and maintain. Our experts are fully trained and have the knowledge to handle all major brands and models and the most common problems that arise. We have quick access to the most commonly needed parts for a fast turnaround on your repair. In most cases, it is more economical to repair an appliance than to purchase a new one, but depending on the brand, condition, and type of problem sometimes replacement makes more sense. Our experienced technician will discuss the options with you and help you make the wisest choice for your situation. 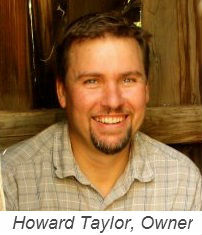 At Howard’s Appliance Service, we love making things work and keeping our customers happy. To repair is green! We will make every effort to keep your appliance in top working condition for years to come. We use environmentally safe storage and disposal methods and carefully follow all state and federal codes. Entertaining guests this summer? Now is the perfect time to take care of routine inspections and maintenance. Don’t let those annoying problems become worse. Give us a call at (435) 865-7171 for expert appliance service and repair in the Cedar City area.